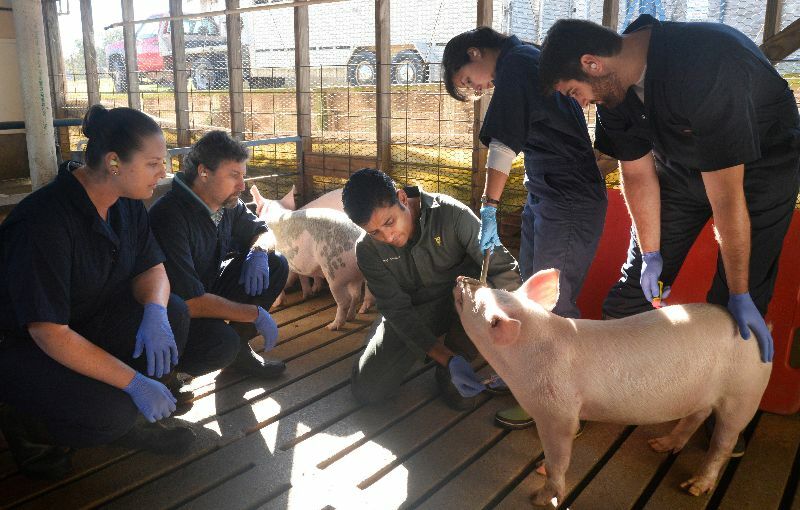 In January 2019, Dr. Siddhartha Thakur of North Carolina State’s College of Veterinary Medicine drafted an editorial highlighting the importance of a One Health approach in reducing the burden of antimicrobial resistance (AMR). The editorial, published in the American Journal of Tropical Medicine and Hygiene, gave examples of how complex factors at the human, animal and environmental interface all contribute to the spread of AMR, a threat which is not contained by social or geographical boundaries. Dr. Thakur argues that surveillance for AMR in our increasingly globalized world must be a harmonized international effort. Dr Moffic is an editorial board member and regular contributor to Psychiatric Times. He was a tenured Professor at the Medical College of Wisconsin. Currently, Dr Moffic is focused on three major advocacy initiatives: physician burnout, climate change, and Islamophobia. Dr Gaspar is a veterinarian at Veterinary Information Network, Chicago,IL. Dr Levin is Chair, Wellness Section, American College of Emergency Physicians, Milwaukee, WI. Between animal and human medicine there are no dividing lines—nor should there be. A terrible truth of student suicides is that those who start medical school and residency are generally psychologically healthy. One can deduce, then, that educational systems themselves factor into suicides.4 Veterinarians and physicians, including psychiatrists, have the highest rates of suicide of any professions and higher than the general population. The paradox is that we are all devoted to healing, yet the ultimate vessels of our well-being—our lives—are being lost by our own hands. Moreover, suicide is the tip of the iceberg of our personal psychological distress and disorders. Our mutual professions have higher rates than the general population for clinical depression, epidemic rates of burnout, and related problems. Those healers with the most compassion seem most at risk for burning out.5 No wonder quality-of-care suffers. For the public, the prevalence of mental disorders has increased to over 20%, and most never receive any effective treatments. Outside of formal diagnostic disorders, a host of other public psychological problems are cause for concern.6 These include the fact that over half of adolescents already have had a significant life trauma; cosmetic surgery procedures are booming, perhaps as a response to body dysmorphia; rates of xenophobia and related prejudices (ie, racism, sexism, anti-Semitism, Islamophobia) are rising; people are suffering mental repercussions of climate instability; technology is being overused and misused; and our society is pervasively lonely. Read Complete article as originally published in Psychiatric Times http://www.psychiatrictimes.com/couch-crisis/psychiatrist-veterinarian-and-emergency-physician-resolve-improve-mental-health.